At the top of this article, you’ll see a green button labeled Print Friendly. If you click that button you’ll have the option to print this page (without any distractions like ads, menus, etc. Plus you’ll have the option to resize the text for printing). You’ll also have the option to create a PDF from this page – or share this page with anyone you like by email. Try it. It works pretty much like the browser extension works. But not every site offers this feature, and I’ll be most you wish there was a way to print only the part of the web page or article cleanly without the distracting menus, ads, etc. Good news! The Print Friendly button is available free for most popular browsers. 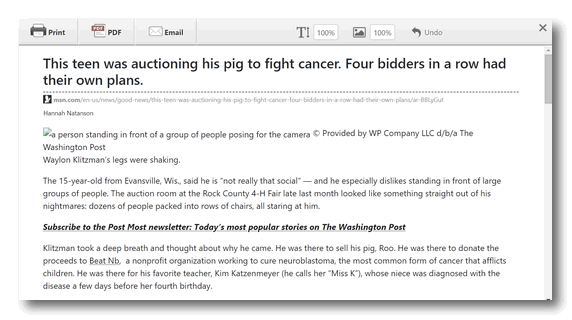 It will add a button to your toolbar to make any page or article print friendly. Or if you just want to read more about PrintFriendly, be our guest. Here are some screenshots for you… but the best, quickest and easiest way to find out how PrintFriendly works is to try it by clicking the green PrintFriendly button at the top of this article. It works just about the same in your browser as it does on our site. 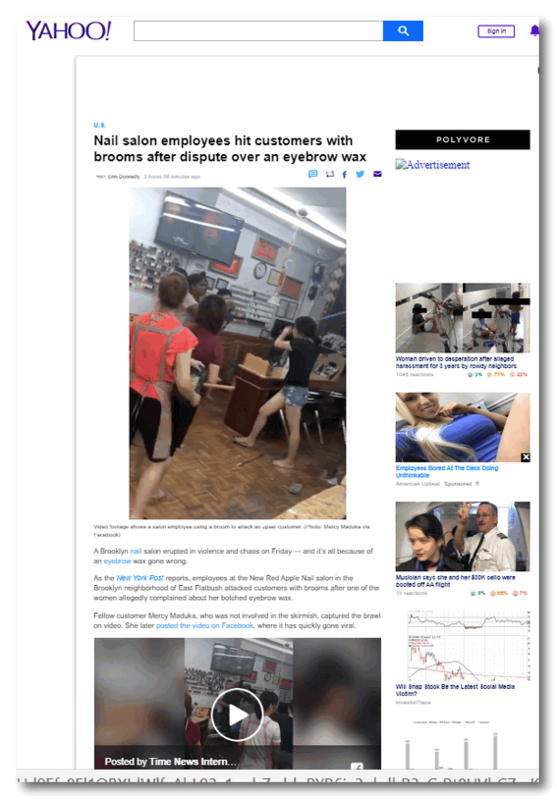 Above: MSN.COM article rendered ready-to-print by PrintFriendly Extension (Chrome). Above: Yahoo.com being Yahoo.com – note the messy page. 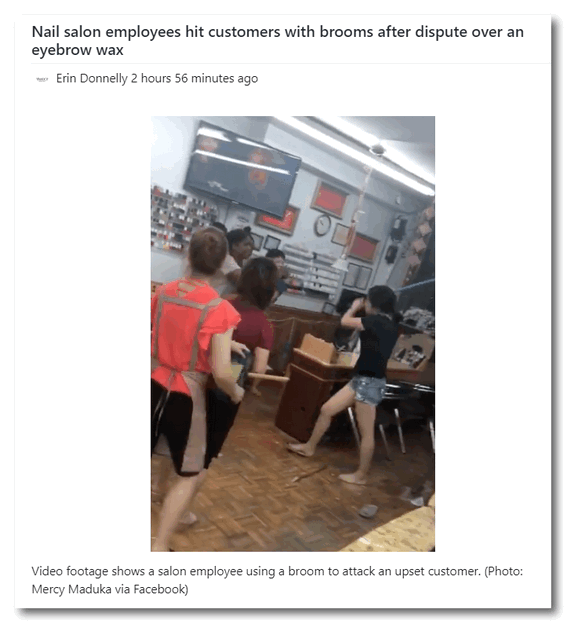 Yahoo.com article tidied up – but with relevant (?) picture included. Same Yahoo article, relevant (?) picture removed and text size increased by PrintFriendly. This article is ready to print! PrintFriendly’s friendly toolbar. You can edit the page or article to clean it up before you print it. 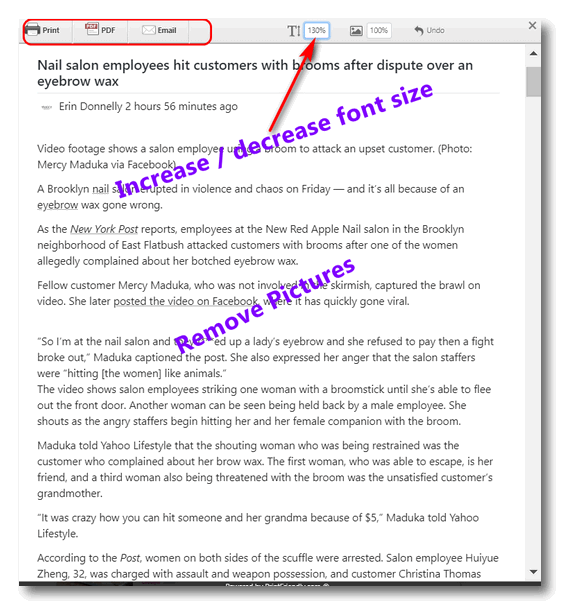 You can increase or decrease the font size and size of images. If you don’t like your changes you can click “Undo”. Note also that once you clean the article or web page up the way you want it, you can print it, you can download it as a PDF file (and print it if you like) or you can share the article by email. It cut out the ingredients and I couldn’t figure out a way to add them back in. Can that be done? The list of ingredients is an advertisement for more craft products – additionally they have their own Print-This-Page icon in the share this page list of icons on the left side of the ingredients list. Note they won’t let you get rid of the ads. Print Friendly works on many – maybe most – pages, but not all. Some sites have their own “Print Page” icon. I have no idea what extensions you have installed. If you have another “clean print” extension installed, you’ll need to disable it.